Our goal is to connect people with the best local experts. We scored electricians on more than 25 variables across five categories, and analysed the results to give you a hand-picked list of the best electricians in Baltimore, MD. A.M. & Son Electric is a Baltimore-based electrical service company specializing in residential and commercial services. Electricians have over 15 years of experience and offer installation, service repair, and maintenance. A variety of services are available including alarm systems, telecommunication services, electrical backup generators, telecom and data wiring, electrical construction, indoor/outdoor lighting, and much more. Past clients have been Chick-Fil-A Timonium, The Baltimore Convention Center, Morgan State University, The Mitchell Courthouse, and more. Regular hours of operation are Mondays from 8:00 am to 5:00 pm, Tuesdays from 10:00 am to 7:00 pm, Wednesdays from 12:00 am to 5:00 pm, Thursdays from 7:00 am to 7:00 pm, and Fridays from 7:00 am to 5:00 pm. Able Contracting Co is a commercial and residential electrical contracting company located in Baltimore, Maryland. The company's technicians all possess years of on the job experience and are well equipped to handle the variety of tasks Able Contracting provides to clients in the Baltimore area. Electrical troubleshooting, appliance installations, wiring repairs, and lighting fixture assembly are just some of the myriad of services for which Able Contracting can be hired. Clients routinely praise the ability of Able Contracting's team to perform quality, technical work in a fast manner and for affordable prices. Prospective clients can contact the company by phone or through their website to receive a pricing estimate for their projects. Able Electrical Services, Inc. has been providing comprehensive electrical services throughout Baltimore and Columbia, MD for over three decades. The team can handle all of types of electrical needs seamlessly and efficiently, providing safe workmanship for any home or business. When customers need experienced electricians who can deliver exceptional services, they turn to Able Electrical Services for their prompt and effective work. The company aims to offer reasonable rates and professional workmanship that include all types of electrical repairs and maintenance, from installing an outlet to a brand new wiring installation for new homes. They also have an after-hours emergency service so customers can be rest assured that their homes are in safe hands. Bossom & Son Electric Inc. is a full-service, women-owned electrical service business in Maryland that provides high-quality and cost-effective electrical services. It was founded in 2005, offering a wide range of electrical services, ranging from residential to commercial and industrial electrical services. It is staffed with highly trained and licensed Maryland electricians who are equipped with state-of-the-art equipment. They are available by phone 24 hours a day, seven days a week. Bossom & Son Electric Inc. is a licensed, bonded, and insured business. Offering multiple varieties of electric services, Brightricity is an electric service provider located in Baltimore, Maryland where it caters to a vast range of clients. The company has the sole desire to supply its customers with exceptional electric services that are professional and long-lasting. The owner of Brightricity] has years of training and hands-on experience that makes them an expert in the electric industry. Brightricity offers services such as commercial or residential electrical rewiring, troubleshooting, rewiring, installation, and repair. Offering convenient product packages, patients are able to choose products and services that coordinate with their budget or preferences and can learn more about the company’s offered services on its website. E-Z Electric offers complete and professional electrical services at reasonable rates to customers in Owings Mills and the surrounding areas in Maryland. Owner and operator Ed Zubovnik has been in this line of work for over 30 years and has obtained not only experience, but extensive expertise as well. He and his team believe that punctuality, integrity, honesty, and friendly service should be guaranteed on every job. E-Z Electric is dedicated to providing prompt electrical services to both residential and commercial customers. They are available to answer any question about the company and work hard to make sure clients get the best quality for their electrical needs. The team is available seven days a week and 24 hours for emergency services. Horton Electrical Services is a Baltimore family-run business that serves commercial and residential customers and has more than 39 years of experience. Services the business provides include lighting retrofits, lighting audits, ceiling fans, smoke detectors, recessed lighting, kitchens, additions, tenant fitouts, lighting maintenance, flat screen TV hanging, faulty wiring repair, outlet repair, lighting socket installation, electric cable repair, service upgrades, and new homes. Horton Electrical Services works on jobs of all sizes and offers a 100% money back guarantee. The business provides free consultations and free estimates. Horton Electrical Services has won the Angie’s List Super Service Award two times. Kushner Electric, Inc. is an electrical contractor that serves Maryland, Northern Virginia, and West Virginia. They have more than 18 years of experience in the electrical industry and have staff who are certified as Master Electricians. Kushner Electric, Inc. offers a wide range of services including general electrical troubleshooting, code violation correction, outdoor security lighting, and installation of intercom systems. They also offer ceiling fan installation, appliance installation and repair, and smoke detector installation. Kushner Electric, Inc. is committed to 100% customer satisfaction and has received positive reviews for their attention to detail. They encourage customers to contact them by phone for an estimate on a residential property. KW Electric, LLC serves homes and businesses throughout Baltimore and the surrounding communities. They are committed to providing clients with the services needed to ensure an electrical system that functions properly and efficiently. Additionally, they are fully licensed, bonded, and insured, and their technicians are dedicated to ensuring everyone's safety. KW Electric, LLC provides a full range of residential and commercial electrical solutions including appliance and garbage disposal repair, fan and heater repair, switch and outlet replacement, exterior receptacle installation, panel upgrades, smoke detector hard-wiring, ceiling fan installation, dryer circuits, and ground-fault circuit interrupters. Free estimates are available for all services. Power Factor is a company specializing in electrical services to residential and commercial clients in Baltimore and the surrounding area. The company has many years in the business, and technicians hold full licensing, insurance, and bonding within the state of Maryland. Power Factor has picked up two prestigious recognitions over the years, earning accredited business status with the Better Business Bureau and attaining certification with the NABCEP as a recognized PV installation professional. Customers recommend for its communication strengths, meticulous attention to detail, respect for the job site, and friendly service. It also boasts what some call one of the best labor warranties available at ten years. Other areas of focus include commercial solar systems and generator installation/maintenance. Power4You is licensed and bonded in the state of Maryland and has provided residential electrical services in the Baltimore area for more than 20 years. The company understands that electrical issues can be extremely dangerous, and its professional electrical design, repair, and installation services ensure that projects will be completed safely and correctly. Complete-home and rental-property offerings include ceiling fan installation, with over 14,000 designs available, and lighting design and placement from a selection of over 20,000 fixtures. Other services include wiring repair and rewiring, dedicated circuit additions, and moving electricity meters, and backup generator options. Power4You's work starts from the ground up and is completed to meet city or county electrical codes and has free estimates, as well as evening and weekend appointments. Locally owned, Southwind Electric provides comprehensive electrical solutions to clients in Middle River, MD, and the counties of Baltimore, Howard, Harford, and Anne Arundel. Owner and master electrician Guy Letendre started in the industry in 1979 and uses that experience to oversee trained technicians working on residential and commercial projects of all size and scope. 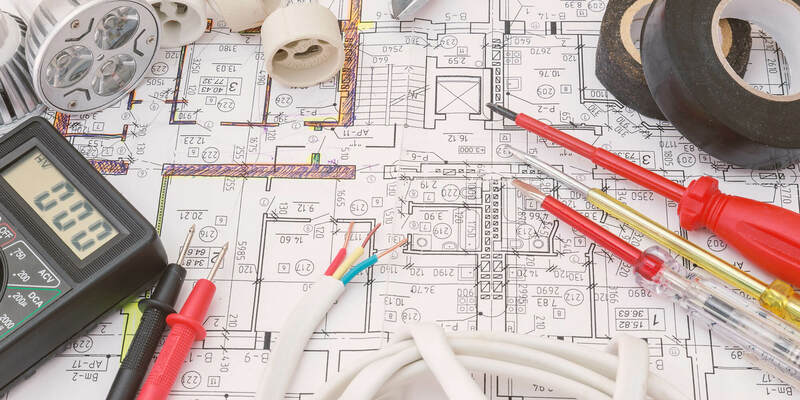 Among their many offerings, the associates specialize in the installation, repair, and wiring of switches, receptacles, surge protectors, lighting, and generators, as well as handle tenant fit-outs, new construction, renovations, and upgrading wiring to code. Southwind Electric offers free quotes to clients and guarantees 100% customer satisfaction on every project. The Electric Company, Inc. is an electrical contractor with 30 years experience serving residential, commercial and industrial clients in Millersville, Maryland and across the majority of the state. The company's goal is to provide high-quality work and a reasonable price in order to build long-term business relationships with satisfied customers. The Electric Company, Inc. is available for electrical troubleshooting and repairs, remodeling, ceiling fans, lighting design and installation, outdoor, landscape, recessed, high bay, security, and track lighting, cable and telephone lines, fire and smoke alarms, alarm and video systems, inspections, and many more services. The company provides free estimates, military and senior discounts, and 24-hour service to cover electrical emergencies. Trouble Shooter Electric, Inc. has over 42 years of electrical contracting experience, and the company is eager to offer its expertise in the industry to customers across Maryland, including the communities of Baltimore, Carney, Essex, Parkville, Sparrows Point, and White Marsh. As a demonstration of the company's commitment to customer peace of mind and security, Trouble Shooter Electric, Inc.'s team is fully licensed and insured to provide services in the city of Baltimore, Baltimore County, and Anne Arundel County. Trouble Shooter is pleased to serve both commercial and residential clients on jobs that range from the smallest wirings to the largest installations. Walter Electric is a trusted choice for electrical work for people in Baltimore City, Anne Arundel, Baltimore, Carroll, Harford, Howard, Montgomery and Prince George’s Counties. Walter’s can do any electrical work from a simple repair to an entire home electrical installation, and there is no job too large or small. They are locally owned and operated with decades of experience satisfying customers in the area. All their work is guaranteed, and the staff is trained and skill showcasing excellent customer service. Walter has an emergency line for 24-hour service, seven days a week, and provide same day service for most electrical work.